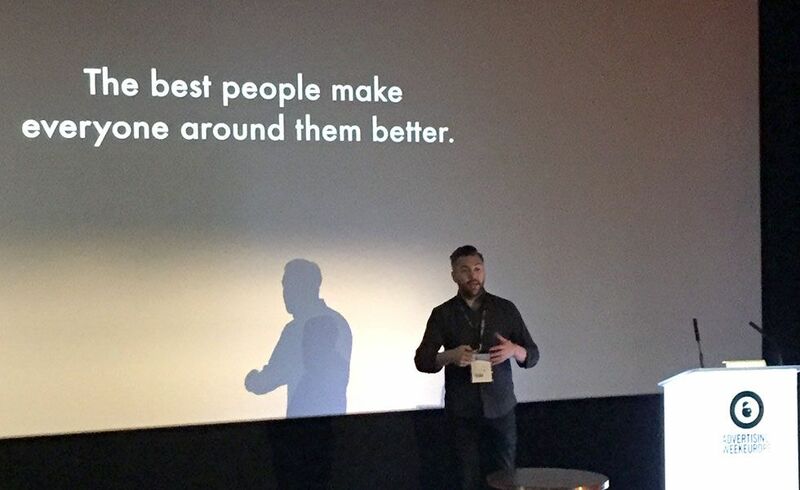 This April we took London by storm and brought creative leadership learning and insight to both the D&AD Festival and Advertising Week Europe. Executive Education Faculty Director Stuart Hardy and Managing Director Jamshid Alamuti spent two days exploring The Value of Creative Leadership with D&AD students from the press and creative agencies. Part of this included a workshop on how to make creative input tangible and how to generate measurable value for creative work. The input of Andy Sandoz (President D&AD) and Tim Lindsay (CEO D&AD) was a brilliant addition to the discussions. Pulling double-duty that week, Jamshid joined Executive MBA Faculty Director David Slocum at Advertising Week Europe as part of the first ever Advertising Week Europe Academy, a partnership program between Advertising Week Europe and the Berlin School. At the Academy, a packed schedule mixed guest speakers with practical workshops including one focused on Ethical Marketing. The interactive workshop positioned Ethical Marketing as a hypothetical service/product, defined it, and put participants in the role of a start up company who would bring this product to the market. This unique approach allowed for a practical and in-depth look at barriers and opportunities and come up with creative ideas how ethical marketing could be introduced to society and become attractive for brands. Rounding out the Academy experience was leadership insight from top industry leaders including Keith Weed, Rory Sutherland and Allie Klein. Weed offered the audience some great comments about strategy and leadership, including “ Content is king. With the right distribution strategy content is King Kong” and “to stay competitive one must tool up. Sometimes we are so busy chopping wood we forget to sharpen the axe”. To join one of our upcoming programs our workshops keep an eye on our twitter account @BerlinSchool and our Executive Education Page.